KUAF host and contributor of "Ozarks at Large"
Antoinette Grajeda is a producer and reporter for Ozarks at Large. She began her professional career as a print journalist in 2007 and joined the KUAF staff in 2009. She earned a B.A. and M.A. in Journalism from the University of Arkansas. Since 2007, Antoinette has participated in the NWA Gridiron Show, which raises money for scholarships. She has also volunteered with the Lemke Journalism Project since 2008. This six-week program teaches high school students about journalism and encourages them to pursue higher education. Tyson Foods yesterday announced that Hillshire Brands had accepted its $8.5 billion acquisition bid over a smaller acquisition by Pinnacle Foods. Senator John Boozman returns to Washington, D.C. more than a month after undergoing emergency heart surgery, and a new effort aiming at legalizing cannabis gets underway in Arkansas. School may be out for most, but educational opportunities still abound. 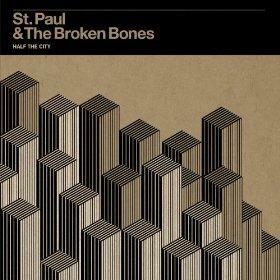 Today we listen to samples from "Half the City," the debut album from St. Paul and the Broken Bones.